What I thought would be just a collection of bios from some good folks ended up being a most interesting discussion of why people suddenly feel the need to speak up, to resist and to take on The Monster. Truly, this book is much ‘bigger’ than just Russia; it is about what makes us human in the best sense of the word: an unbreakable determination to resist Evil and Lies in all their manifestations. The “Kremlin Trolls” featured in this book are all very different people, different in their backgrounds, professional experience, ethnicity, temperaments and motives. I had no idea that “Kremlin Trolls” could be recruited (by God?) from such different backgrounds. I am pretty sure that none of us had ever planned to become a “Kremlin Troll” or even to get involved in politics. And yet, one day, something hidden deep inside us “snapped” and we suddenly found ourselves in a struggle against the most powerful (and obnoxious, I would add) Empire in world history. For me it was the Anglo-Zionist aggression against the Serbian people in Bosnia, but others have reacted to other triggers. Each story in this book is fascinating by itself, but taking together they form what I would call a “witness to our times”, a sociological analysis about how an action (the Empire’s war on Russia) resulted in an unexpected but also inevitable reaction. 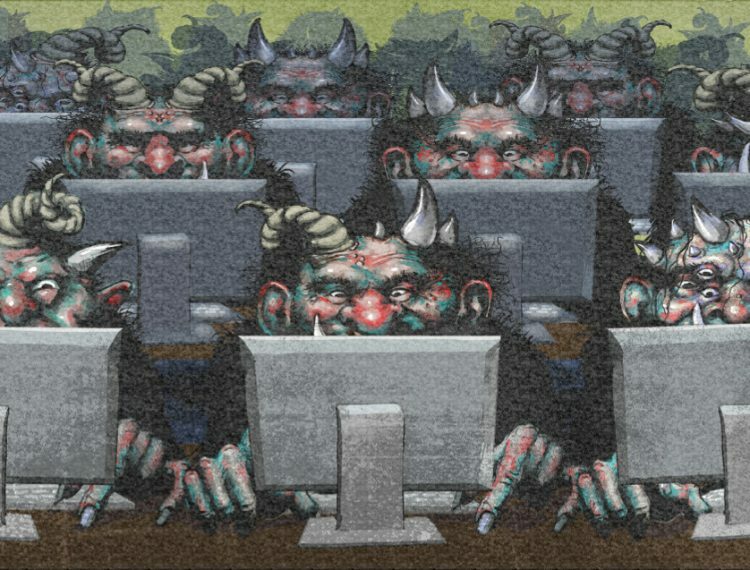 But becoming a notorious “Kremlin Troll” is not only about taking a stance against something, it is also very much siding with something else – in this case the new Russia. Others might disagree, but I simply don’t think that the old Soviet Union would have inspired so many people to take up (intellectual) arms and challenge an Empire, at least not the decrepit USSR of the late 1980s. In sharp contrast, the new Russia does inspire and give hope. In this book you will also discover why Russia is having effect on so very different people. The struggle against the Empire and for Russia is far from over. In fact, we are still in the early stages of what will probably be a long war. “Putin’s Praetorians: Confessions of the Top Kremlin Trolls” form a snapshot in time, a look into the early history of this long struggle which brought together dramatically different people who joined forces in a common stance. It is both an honor and a great privilege for me to have been part of this most interesting story. I urge you all to get a copy of this book which I consider a “must read” to understand our times and how a few isolated individuals ended up becoming the nightmare of a multi-billion dollar propaganda industry completely dedicated to legitimizing the Empire and its evil policies. Phil Butler is a digital, media, and geopolitical analyst, who was first influential in the Web technology space. After joining a prominent digital public relations firm in Germany, Pamil Visions PR, he became an influencer on internet media relations. As a digital analyst and futurist, Butler examined and advised major web-based companies on leveraging online traditional and social media. His work during this time enabled technology startup companies to achieve success in a highly competitive market, providing forward-looking marketing services that promoted them to better understand the digital media landscape. As a result of his work in this field, Butler helped develop some of the most successful digital PR and marketing strategies. At the onset of the new “media war” in between the United States and EU actors, Butler served as an analyst to help independent media better understand the tools being arrayed against Russia and all opponents to the globalist narrative. A sought-after media analyst and speaker, Butler has been a guest on RTTV, Russia One TV, NTV Russia, and a cited authority by dozens of other major independent media outlets worldwide. He now lives on the Island of Crete in Greece with his wife Mihaela, and their young son Paul-Jules.